Remember my post here about the Urban Street Library which made an appearance at one of the malls in town? Well, I went back about a week later bringing with me some titles that I have read and was happy exchange them for new title. It was quite difficult to select but in the end I came home with the following titles. Thyme Out by Katie Fforde. Read a few of Katie's title. Didn't like it initially but grew to enjoy what she wrote. The Lost Symbol by Dan Brown. I think I read this title already and actually wanted Inferno but mistakenly thought this was the title I haven't read. Ah well...maybe will read it again. A Suggestion of Death by Marianne Wesson. This is a wild card/title. Just to see if it's good. 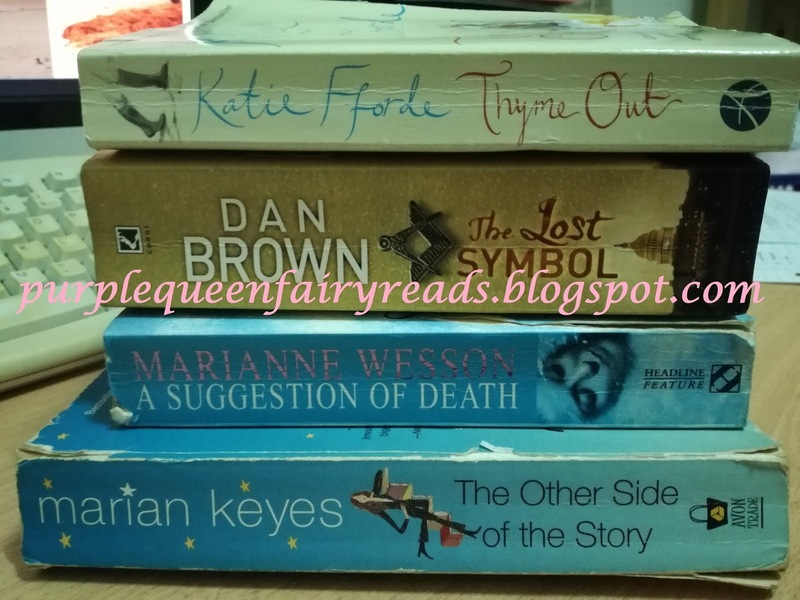 The Other Side of the Story by Marian Keyes. At one time my favourite author. I still like what she wrote but haven't read any of her titles for quite a while now. So, technically I didn't purchase any new books for the year yet, other than this one which I am keeping for a forthcoming holiday. 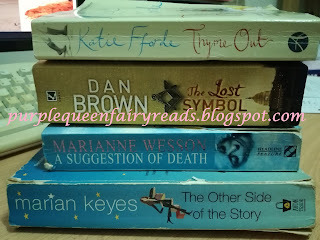 Currently reading Thyme Out by Katie Fforde and will be sharing with you what I think of it in the next post.